According to the West Virginia State Police 2006 annual report, “As West Virginia’s statewide law enforcement agency, the State Police is charged with the responsibility of general and special law enforcement and criminal investigation services with concentration in rural unincorporated areas of the state. Troopers conduct highway patrol and traffic enforcement for both unincorporated areas and interstate highways, and provide security and police services throughout the stet for many athletic events, fairs and festivals. In addition to criminal investigation, traffic patrol and security related duties, the West Virginia State Police provide the following services to law enforcement agencies and governmental entities within the state: executive protection services; legislative security; forensics laboratory services; the central criminal records repository for all state arrests and dispositions; law enforcement training, certification, and in-service; assisting other law enforcement agencies in criminal investigations’ the central clearinghouse for law enforcement reporting data; the West Virginia Motor Vehicle Inspection Program; and, assistance to other public agencies in time of natural or other emergency or disaster. In order to accomplish the mission of the State Police and perform the duties and responsibilities required, the department is comprised of three divisions: Executive Services; Staff Services; and, field Operations. Personnel with the Staff Services and Executive Services of the West Virginia State Police performs the administrative, accounting, and executive services necessary to operate the department. Existing organizationally within Executive Services is: Planning and Research; Media Relations; and, Legal Services. The Staff Services of the West Virginia State Police is comprised of: Accounting; Communications; Criminal Records; Forensic Laboratory; Personnel; Procurement: Traffic Records; and, Uniform Crime Reporting. Professional Standards is a separate unit of the West Virginia State Police Department Headquarters and reports directing to the Deputy Superintendent. During 2006, 84 sworn state troopers were assigned within these sections. During 2006, 595 sworn State Troopers were assigned to the West Virginia State Police Field Operations Division (the agency has an additional 343 civilian personnel, overall). Field Operations, like most state and local law enforcement agencies, is the largest organizational component of the West Virginia State Police. The Field Operations Division is organized into 7 Uniformed Field Troops, which are divided into 20 districts consisting of 65 detachments. In addition, the Bureau of Criminal Investigations provides personnel statewide for undercover and criminal investigations. Special Operations, Executive Protection and Training Academy are organizationally within Field Operations. Ric Robinson, a 21 year veteran of law enforcement, was a state trooper with the West Virginia State Police. During his law enforcement career, he “investigated virtually every heinous crime.” During his law enforcement career with the West Virginia State Police was the director of Media Relations. In that assignment, Ric Robinson became an integral part of thousands of interviews, not only throughout the State, but for Dateline, 60 Minutes, Nightline, Larry King Live, COPS, and many more. After early retirement, Ric Robinson “took his unique talents to legendary radio giant WLW. As a daily host, his life experience, knowledge and aggressive style made Ric a popular entertainer, covering all of today's hottest topics.” Ric Robinson is the author of Cop: The Truth Behind the Badge. 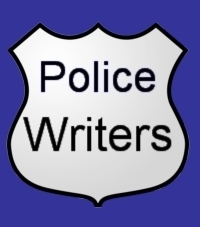 According to the book description of Cop: The Truth Behind the Badge, it “knocks the politically correct crowd back on its heels with the truth about racial profiling, serial snipers, illegal immigrants, guns, drugs, and more. Nationally recognized police expert, talk radio host and teacher, Ric Robinson, delivers a powerful reality check with real cop stories about "scum-sucking slopeheads and their lying, thieving lawyers. Ric sets the record straight regarding homeland insecurity, misuse of power and justice denied. The veteran State Police Director pinpoints the feds failure before 9-11, why new airport security won't work and when passengers are at greatest risk. Ric shocks the conscience with the facts about police chases, use of force, and domestic violence. He explains how a large Midwest city is being held hostage, when DNA lies, and how guilty inmates are being set free.